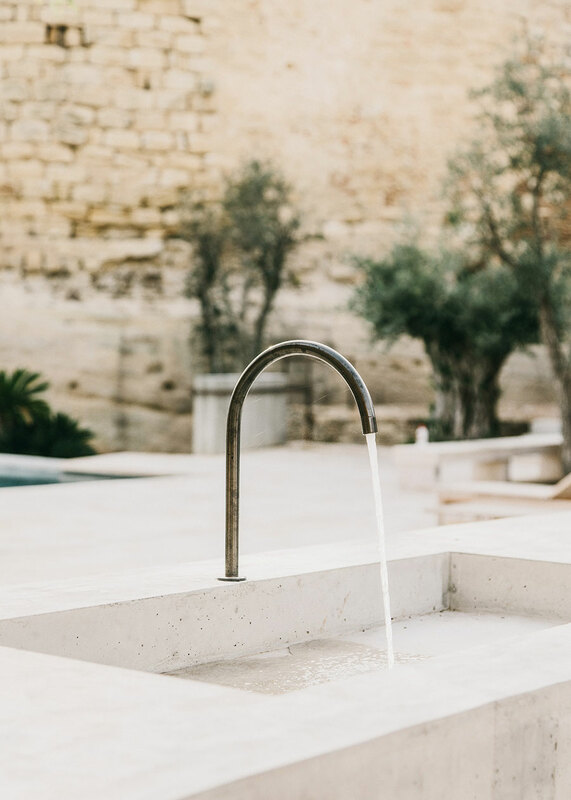 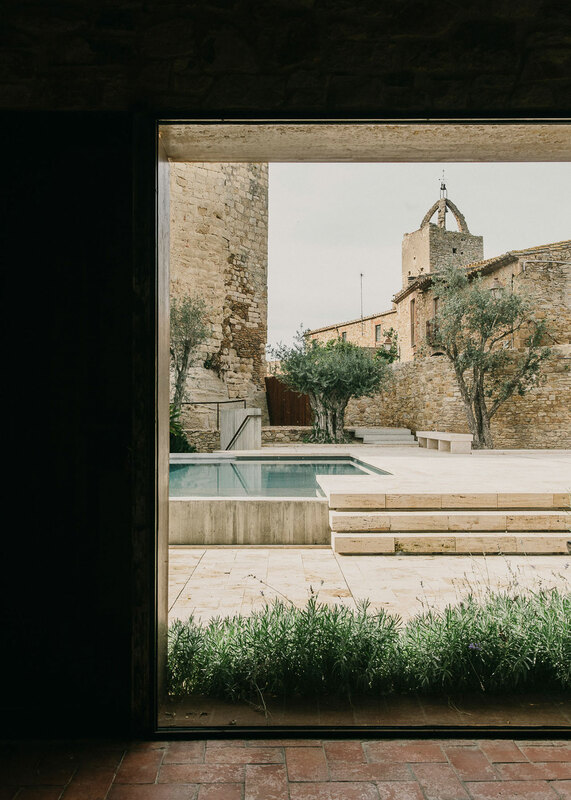 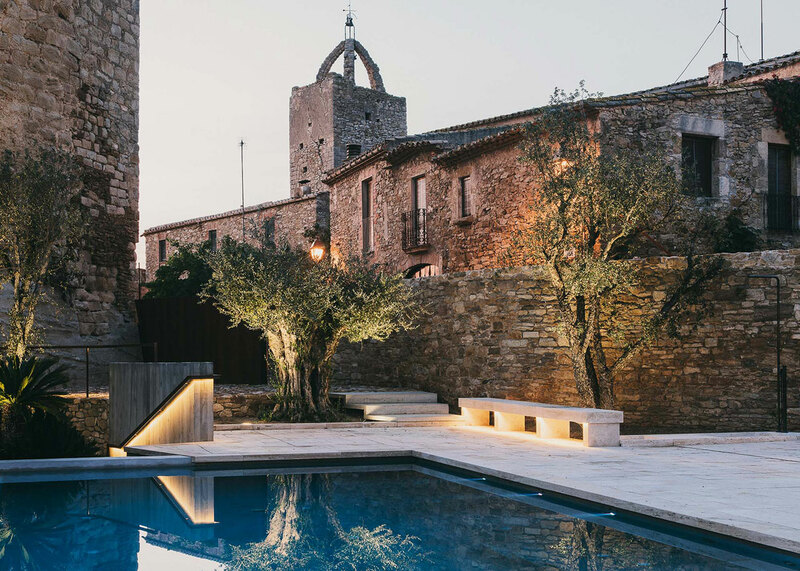 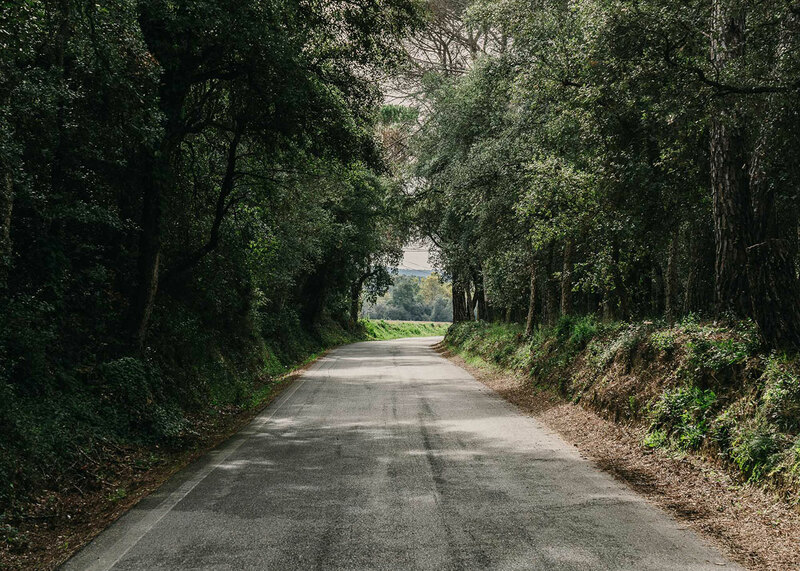 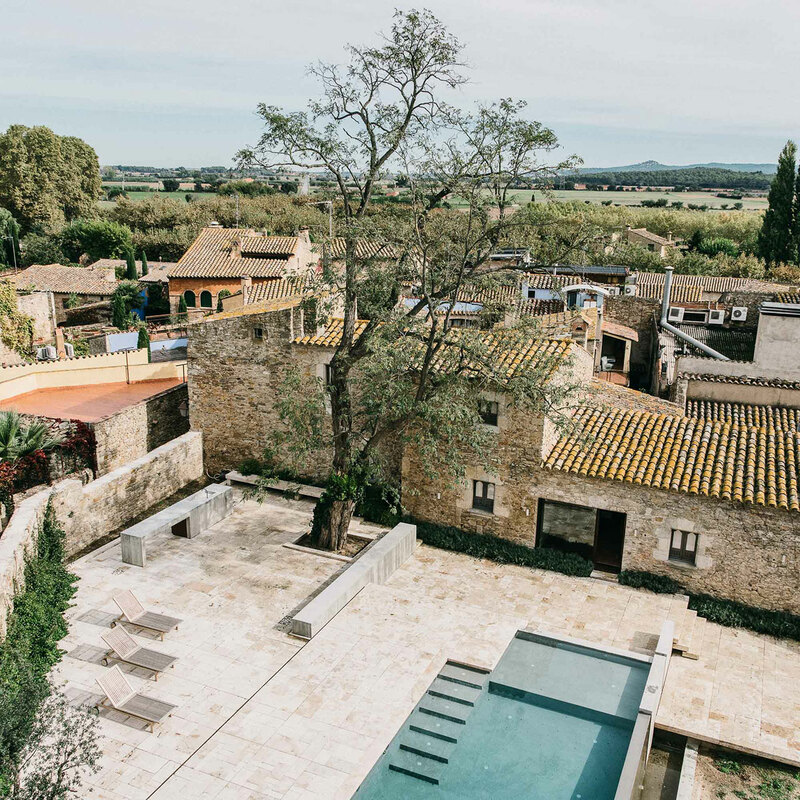 Tucked away in the county of Baix Empordà in Spain, the small Catalan village of Peratallada boasts a new landscape project designed by the Barcelona- based architecture studio MESURA. 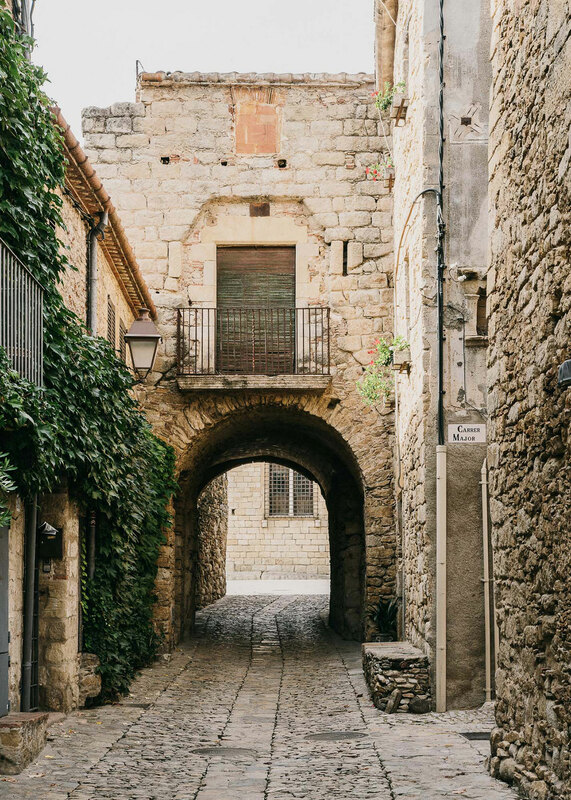 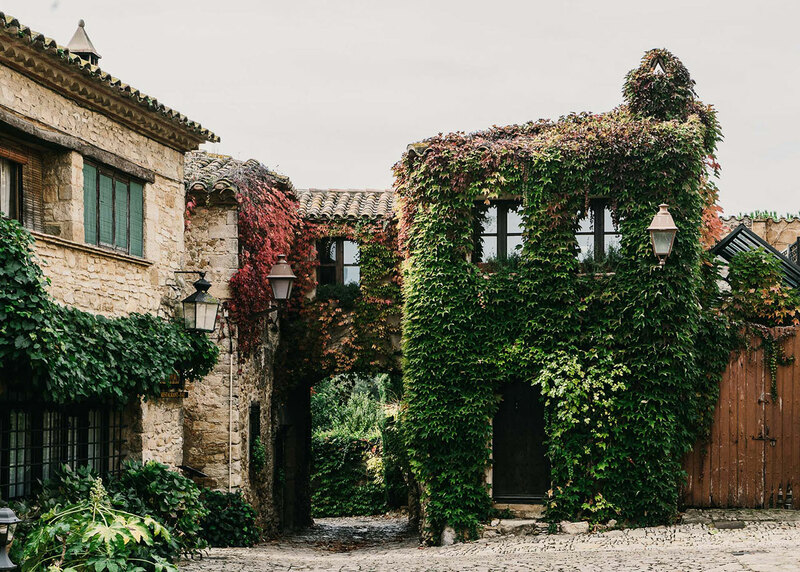 Peratallada —whose name derives from the phrase “pedra tallada”, carved stone— is one of the most famous fortified villages in Spain, built around a medieval castle made up of several buildings sharing a common courtyard. 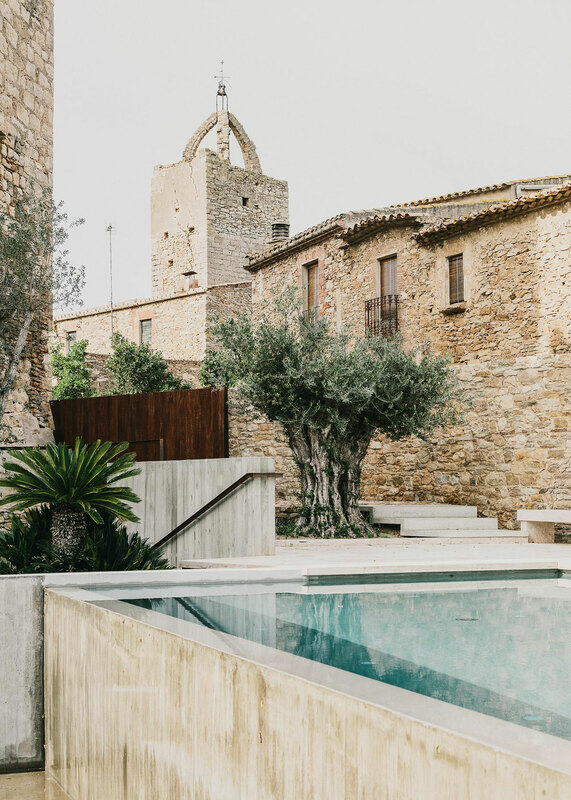 MESURA architects who were the firm commissioned to undertake the landscape development of a private holiday residence situated in the heart of this courtyard, have delivered a terraced garden that combines efficient, sustainable design with locally-sourced materials and a respect to the site’s history. 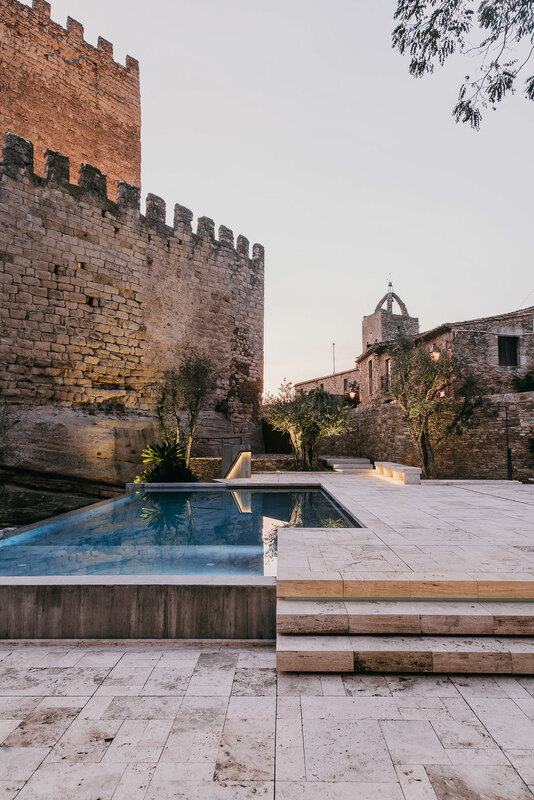 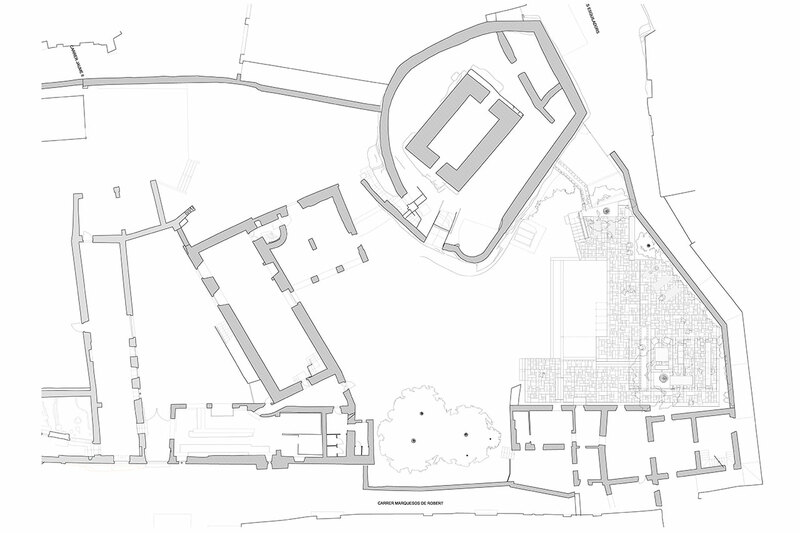 Completed in 2015, the landscape design delineates the imposing structures and the standing remains of the castle, while responding to the site's complex topography. 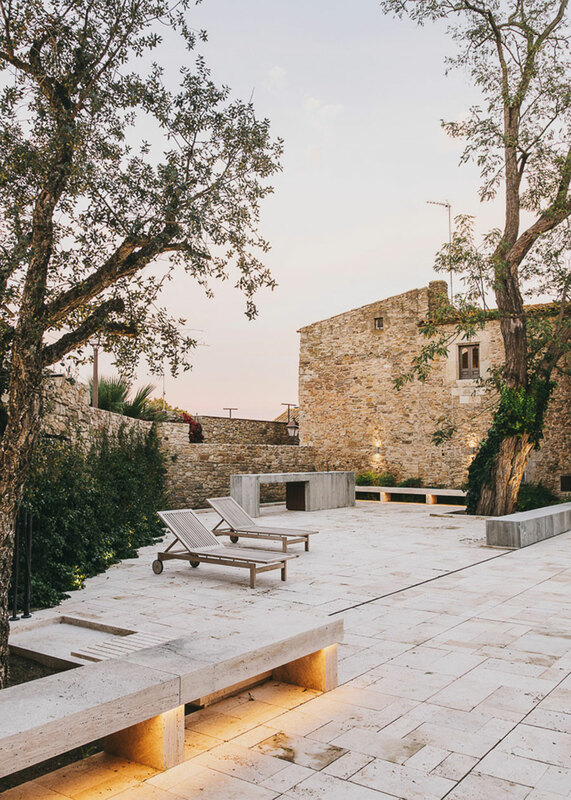 Since the villa’s entrance is sunken two meters below street level, a layout of three terraces was introduced to connect the two, comprising an outdoor dining space, seating areas and a pool. 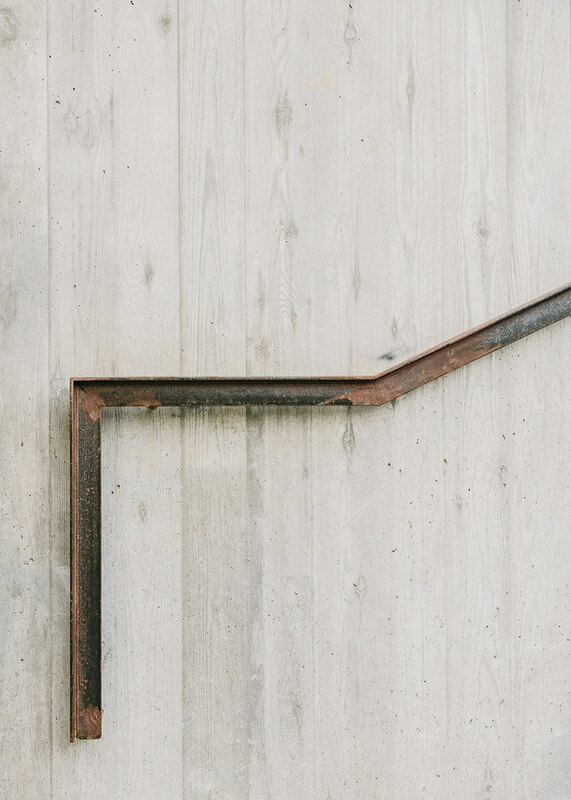 Turkish stone that was found on site was custom-cut and rearranged in irregular interlocking geometrical patterns, adding a sense of variety on all three horizontal layers, while the walls and other vertical elements were dressed in concrete paired with a range of wood finishes. 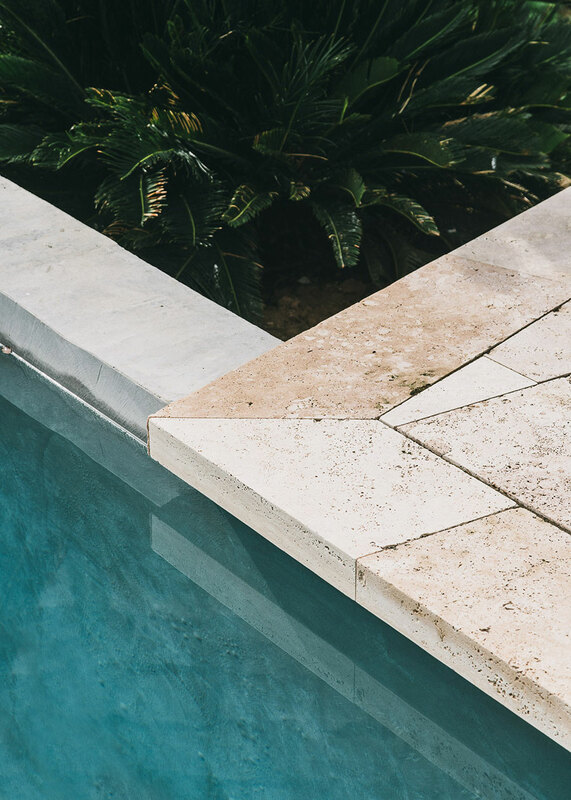 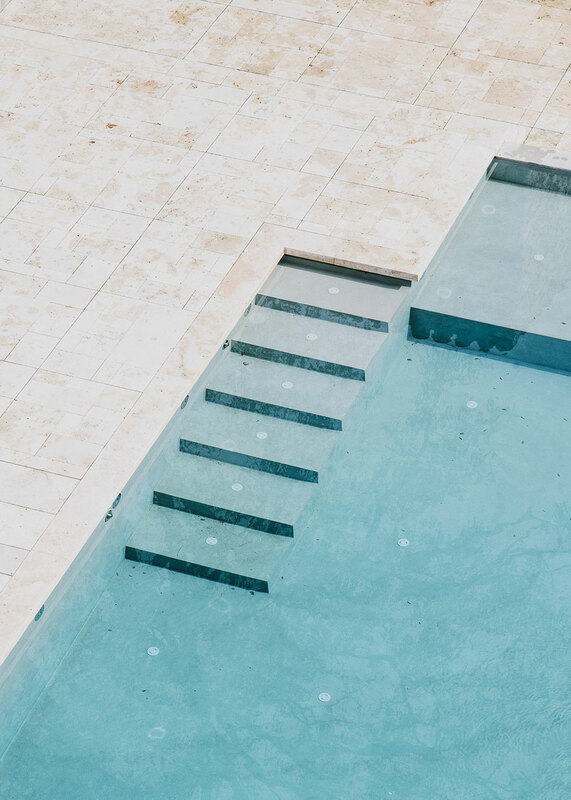 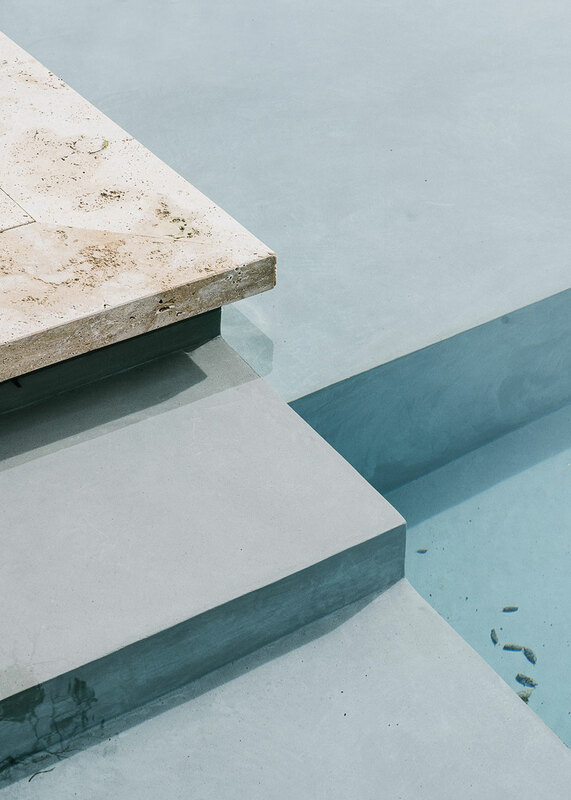 The minimal rectangular concrete pool —reminiscent perhaps of David Hockney’s clean-lined, turquoise California pools— reflects the sky and the surrounding buildings. 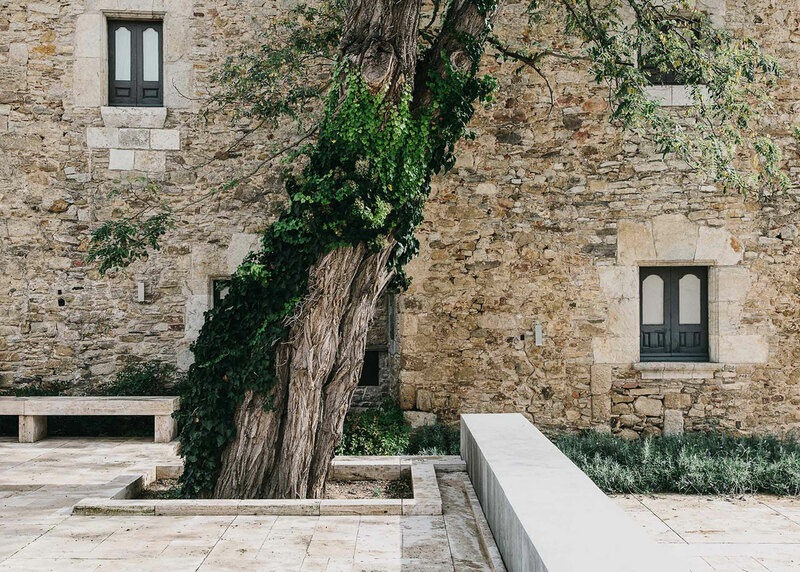 Meanwhile, a beautiful centenary acacia tree stands tall at the residence’s rear, witnessing this delicate piece of landscape architecture that hopes to leave a long-lasting mark on this quaint, yet historical village. 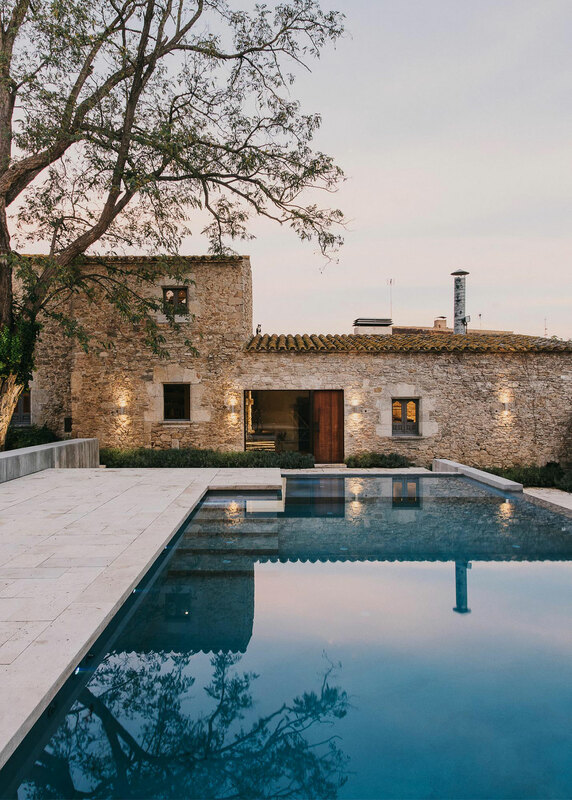 © MESURA, Partners in Architecture.